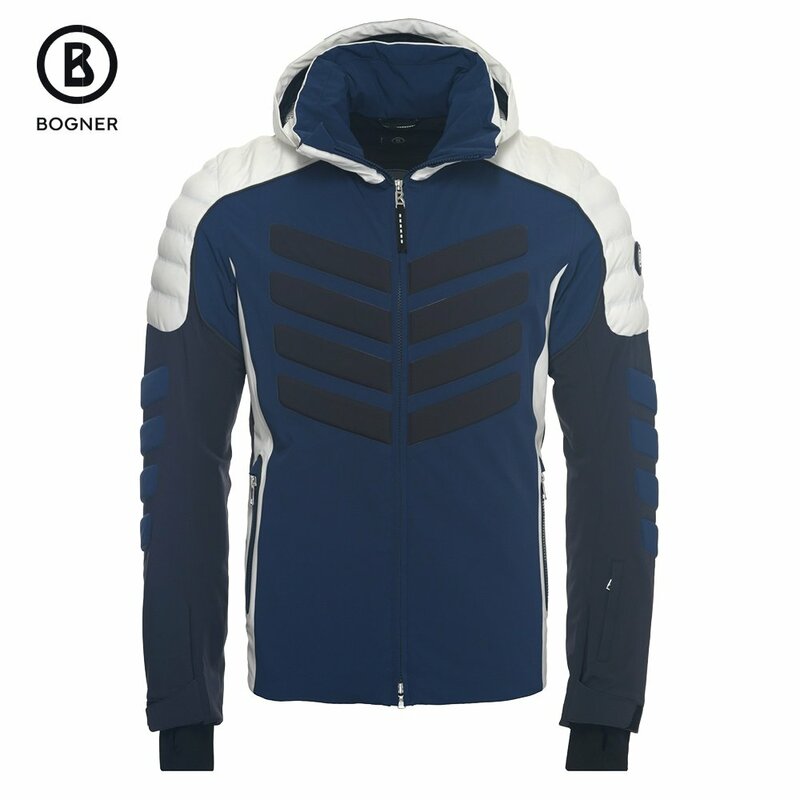 The technically sophisticated Bogner Liam-T Insulated Ski Jacket blends classic ski style with modern moto influences for a unique, attention-grabbing piece. A reflective trim detailing and a slim, fitted cut are made for the city, but the 20K waterproofing rating and powder skirt are definitely made for the mountains. Other ski-friendly features include a 20K breathability rating, critically taped seams, and wrist cuffs to help keep snow out. And because both cities and slopes can be chilly, the Liam-T Jacket has 60g of proprietary Bogner insulation on the core to keep you warm from early morning to late night. Underarm vents and a removable hood allow you to cool down in a hurry. 60g of insulation on the core and 40g on the arms concentrates heat where it’s most needed. This jacket draws fashion inspiration from classic skiing and moto styles. "Thank you for your inquiry. The size 44 is a XL in the Bogner Liam-T Insulated Ski Jacket. We hope this information helps! " "What is the best size for 170cm"
"Thank you for your inquiry. We recommend taking a look at the Bogner size chart for accurate measurements in inches. We hope this information helps! "